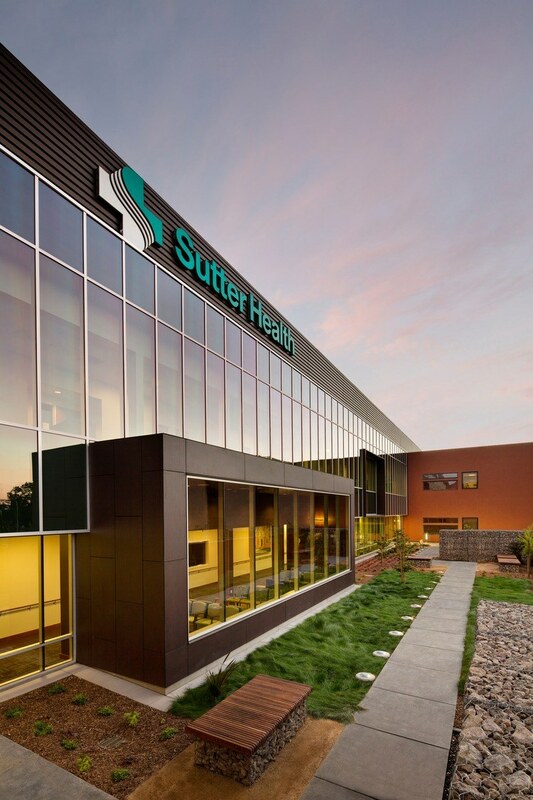 Sutter Santa Rosa Regional Hospital incorporates advanced technology, modern hospital planning, sustainable building ­­­practices, and current seismic construction standards. 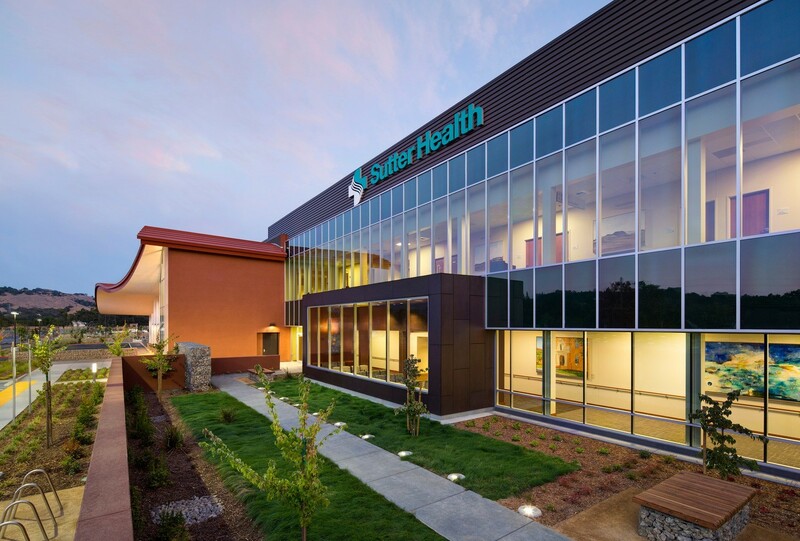 Located on a 25-acre site adjacent to the Wells Fargo Center for the Arts, the two-story, 84-bed hospital consists of a diagnostic and treatment block, a patient wing, and helistop. The exterior features a glass façade with views toward an adjacent garden and coastal Mayacama Mountains. The prominent entrance is accentuated with an undulating canopy that architecturally mirrors the mountain formations. Inside, clear wayfinding enhances circulation to services. 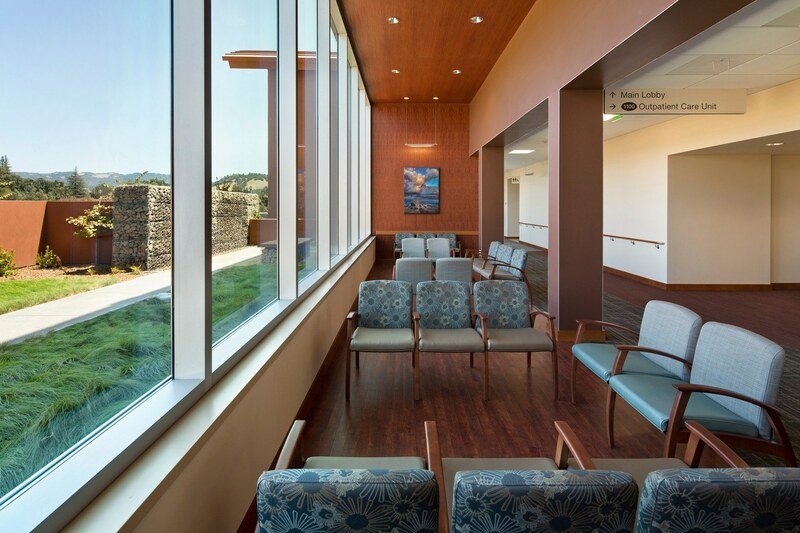 Private adult patient rooms maximize patients and family comfort. Warm finishes and extensive exterior views offer a soothing interior.